Our friendly Eco-Crafters meet every Wednesday for crafts and natter. 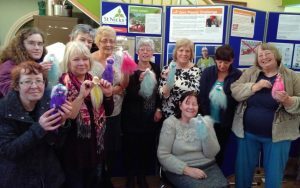 They share their skills – from basic sewing, knitting and crochet, to the more exotic, such as felting, Japanese braiding and peg loom weaving – and learn from each other over a cuppa and biscuits. All skill levels are welcome; just bring along your own crafts project or learn from the others. 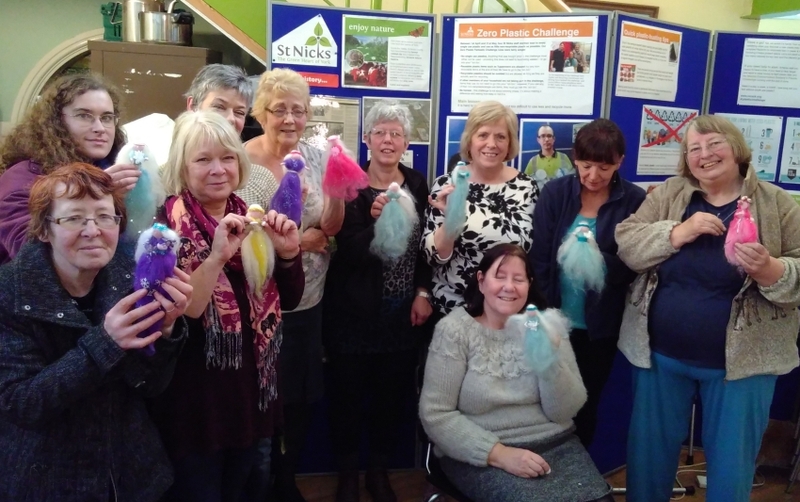 The group is self-led with support from the Environment Centre staff and some members make items for sale to raise funds for the club. All can come to as many or few sessions as they like – there’s always a friendly welcome and something new to learn. As of September 2018 the cost per session is £2 on a pay as you go basis, except for occasional workshops which may cost more. You can read more about the club on this page.